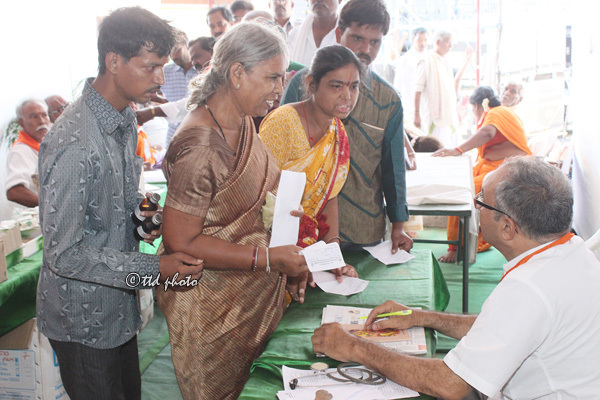 Vijayawada, 19 August 2016: There is a mad rush at the exhibition of Ayurveda products and medicines of TTD on display at the model Srivari Temple got up at PWD grounds of Vijayawada for the ongoing Krishna Pushkaram. 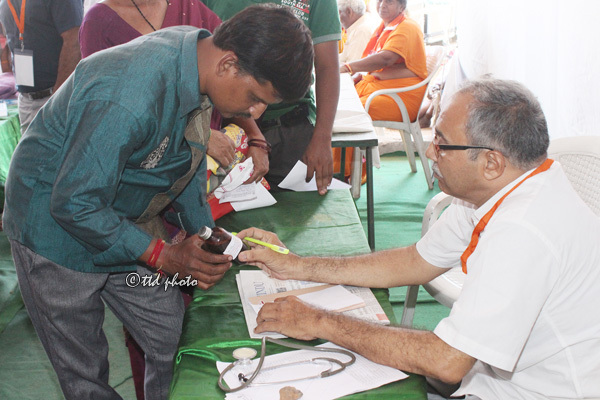 At the ayurvedic stall the TTD has showcased the sanatana glory of the ayurvedic stream of medicine, its methods and cure for several deadly diseases given up in alopathy and other streams of medicine. The objective of the TTD exhibition is to spread awareness on indigenous medical streams available in India at low cost and easily available formats across the country. 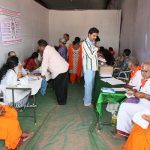 Sign hoardings and flow charts of ayurvedic medicine like dhanwantari are put up at the exhibition on all aspects like Kaya, Bala, Graha, Shalakya, Shalya, Agada, Rasayana, Vagikarana methods of treatment. The pictorial charts also explained on the basic health tips for all diseases, types of medicine and also lifestyle transformation as per the seasons to enhance the impact of the panchakarma treatments. 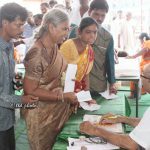 The charts also displayed the medicinal values of traditional vegetables and berhs like Usiri, Aswagandha, Bitter gourd, cloves, uttarreni, Jilledu, Tippatiga, Podapatri, Dolagondi etc. 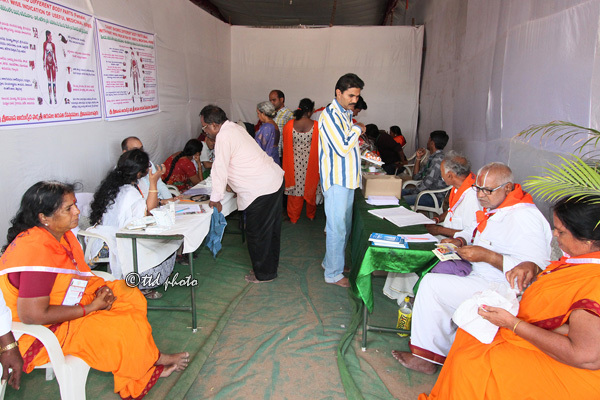 The TTD run ayurvedic dispensary maanned by one medical officer and two junior doctors also provided free medical treatment and also token amount of medicines to the Pushkar devotees wanting to use ayurvedic medicines . 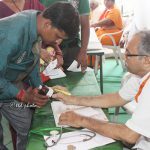 At the exhibition and ayurvedic medical services organised under the supervision of principal of SV Ayurdeva college Dr Shankar Babu, the medical officer Dr Ravinder Babu .Dr Bhaskar Rao and Dr Harsha vardhan were rendering service to pushkara devotees through out the day.